Wrap Your Baby In A “Gift” Onsie! 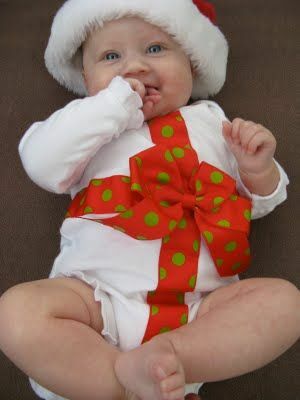 Just found the most darling “gift” onsie, which would make the perfect Christmas day attire for any small baby!! Carrie at MakeLemonadeBlog has a tutorial for making this super gift onsie. The tutorial is easy and quick, so if you have babies in your home, you still have time to make one! Thank you so much Carrie for the super tutorial and picture. I just wish I’d have thought about this when Denise (my daughter and partner) gave birth to quadruplets! They were born 8 weeks early, so most of them spent the first 6-8 weeks of their life in NICU – but look at them in their red outfits when they were about 6 months old! 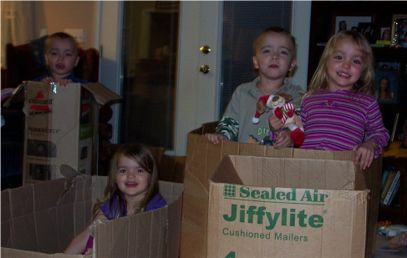 Wouldn’t they have looked soooo cute wrapped up with Carries wrapping and bows! And here are the “preemies” at 4 years of age — all healthy and growing like weeds! Thanks SO MUCH for featuring the onesie! 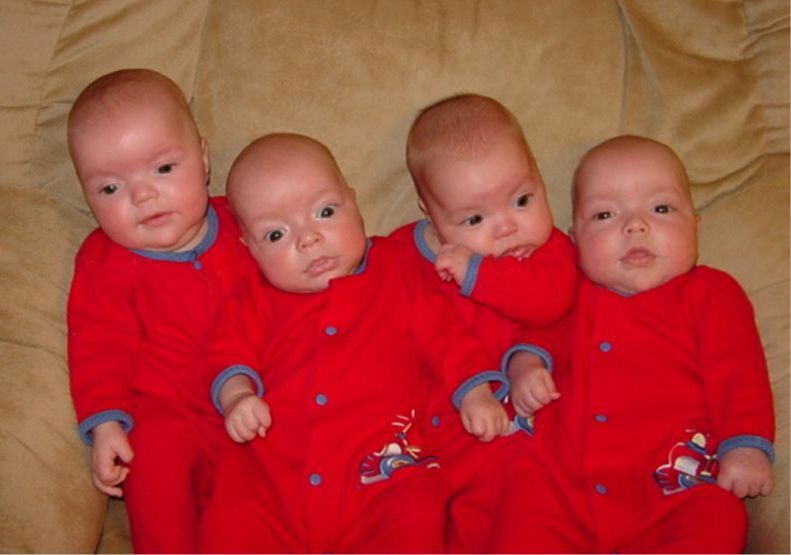 Oh my goodness, the quadruplets are adorable! Wonder if they’d wear a modified version of the onesie, like a bow t-shirt? Are the boys young enough to let you do that still? 😉 Thanks again for posting this!